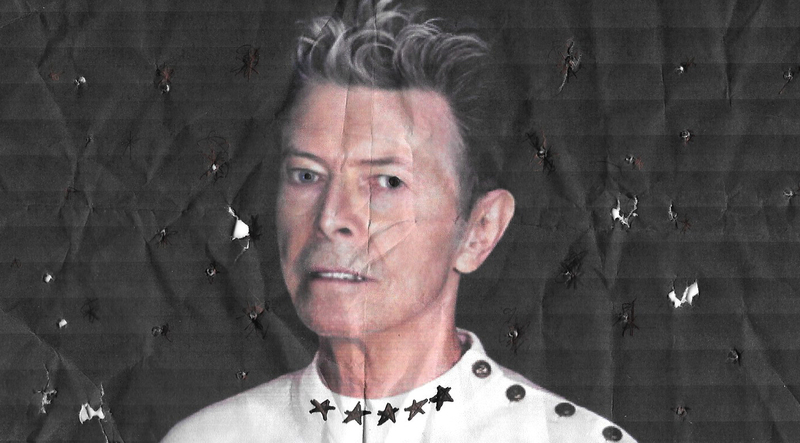 A month ago, our beloved David Bowie has left us but not without the release of one last album. No matter what people said before they knew he would pass on two days after the release, this album is a work of art in our time just like every other piece of music he has left for us. To me, this album is consistent in quality with his other great albums, although creatively, it really isn't like some of his most popular hits... and that isn't a bad thing. Blackstar was his relief from the demon that was overtaking him for the last 18 months. Yet, this album was Bowie at his purest; not giving in to pain and misery but instead deciding to dispense all of his wonder into what he knew was going to be his last album. 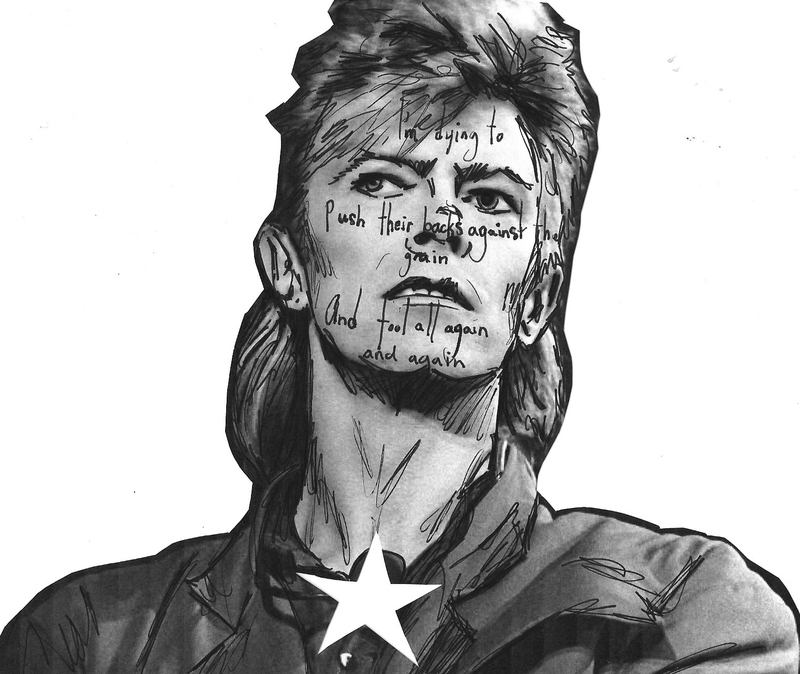 In my opinion, his vocals sound even more passionate, soulful, and real on Dollar Days and throughout the whole new album in general than his 1976 Wild is the Wind, which is one of my personal Bowie favourites and definitely an extremely powerful song. Listening to this new album, I can just vividly imagine him recording in his studio, the instrumentals echoing in his ears and him just singing, sensually to his microphone in a way, it's like he knew this was the last time he could make love with the thing he was meant to create: music. His artistic expression, creativity, style, and even his "darker side" all resonate magically through the instruments, highlighted especially by the saxophone playing throughout. To address the criticisms of some, yes the title track, Blackstar, is definitely different. I think when it was released as a single with it's music video long-time David Bowie fans were not too sure about this new sound but how couldn't it be peculiar compared to his previous work now that we know what he was going through? He was dealing with something that would've been so terrifying and unfamiliar that it was only natural to transform his music into something that listeners see as slightly out of character for Ziggy Stardust. 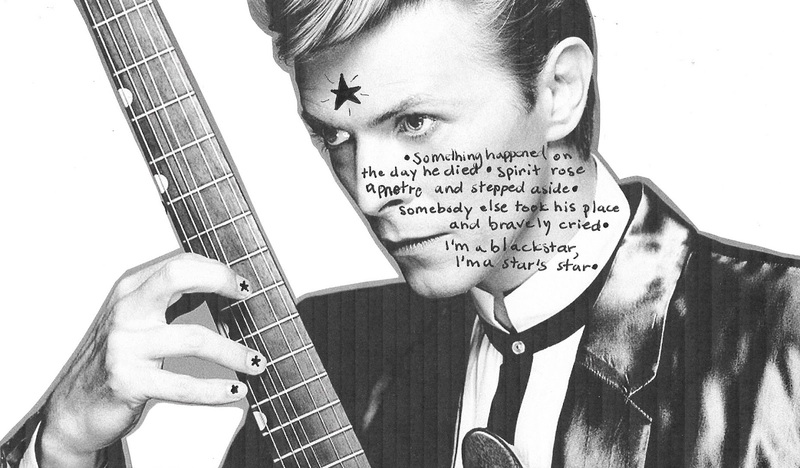 I'm a blackstar, I'm a star's star"
I think David is extremely honest throughout this album and that could be why it feels so contrasted from his older discography, which is often quite playful, upbeat and carefree (although always with much depth between the lines). Unfortunately, the album's vocals don't seem hopeful to me, his usual use of metaphors and analogies are exchanged with confessions and cries. It seems like the weight of his oncoming death provided him with the strength and power he needed to create this masterpiece. 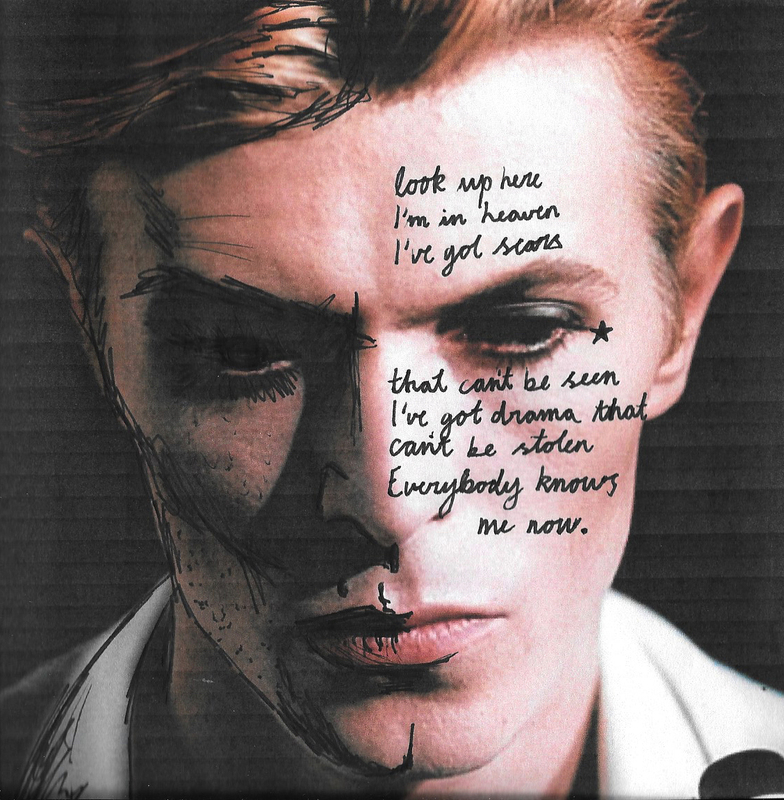 and fool them all again and again"
After Bowie's death, Jamieson Cox, entertainment reporter for The Verge, gave some of his thoughts on the track Dollar Days. "Just a few days ago, this felt like a proud, defiant stand from an elder statesman. 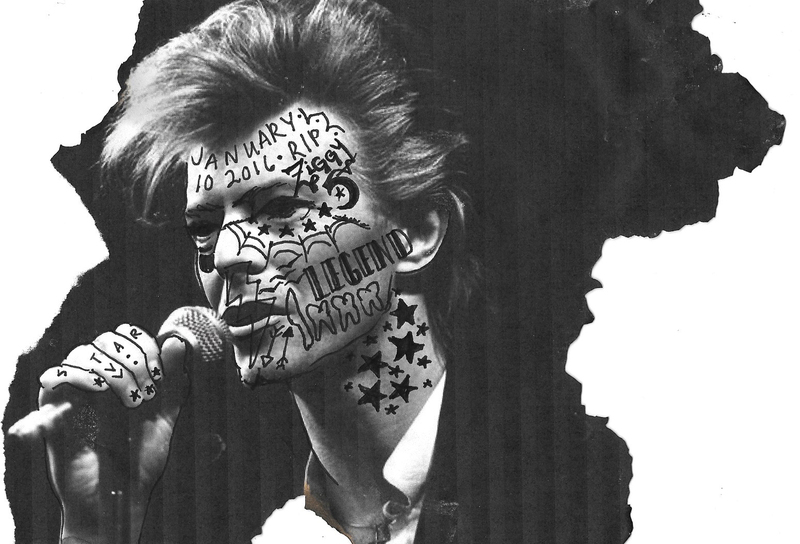 When Bowie sang 'I’m dying to,' it was an expression of effort, not a statement of purpose. Three days later, we are all coming to terms with one final transformation. No one was ready; consider us fooled. Beyond the veil, he’s waiting for everyone to catch up once again." This track was definitely one of my favourites from Blackstar and I couldn't explained the feeling any better. Everyone does know him now. Parents that grew up with his music have shared his passing with their younger children that didn't get that wonderful chance, his face is on magazines and newspapers in the stores, and articles all over the Internet. So many quotations are taken from his music and published so that everyone that has never chose to listen, can read. Let them become curious about his mysteriously beautiful metaphors and simple words. No matter if you are just becoming a David Bowie fan or have been one since you first heard the sounds of his melodies long ago, you are, of course, are welcome to his music. This was the first of my new series called Listening To, where I will be sharing the thoughts I have while listening to albums! I will most likely always choose an album that I am really passionate about so I can write a good article about it. But remember, that it is solely just my thoughts as a listener and I don't intend to push an opinion onto anyone, it is just a personal recording for some of my favourite albums. Hope you like the idea and give me feedback if you have any suggestions!